ROME — The pope met with the head of an international Islamic organization on Friday, a meeting that was characterized as the first-ever for the group. This is not the first time, however, that the pope has engaged in dialogue with members of the Islamic religion. 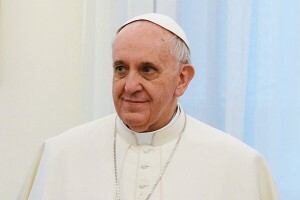 As previously reported, in August of this year, Pope Francis had issued a written greeting to Muslims in recognition of the close of the Islamic holiday Ramadan. However, Mike Gendron of Proclaiming the Gospel Ministries of Plano, Texas, told Christian News Network that it is concerning to observe the Vatican’s ecumenical talks with the followers of Islam. Gendron, a former Roman Catholic, stated that he also found it disturbing that Pope Francis asked OIC for their prayers.